Today I returned to the virtual room of the BEtreat – and added Bev and Etienne to my skype contacts. And now I will solve the world time issue to decrease my confusion and insecurity. I remember that when I checked the BEtreat invitation and what to do and what to bring – there was a question about my learning artefacts. And in the last weeks I was reflecting about “learning artefacts” – and identified some. In my work in the field of E-learning I’m using Gilly Salmon’s 5 stage model in all my online training designs. 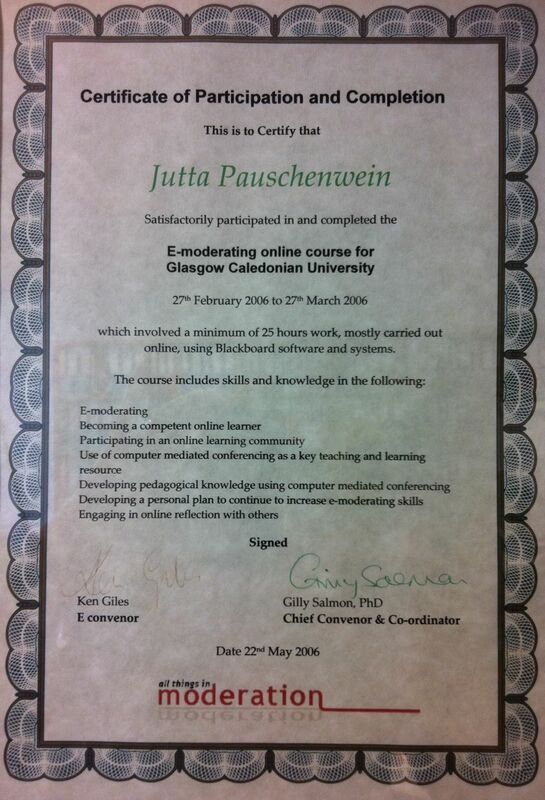 So of course the certificate of her course is my first learning artifact. 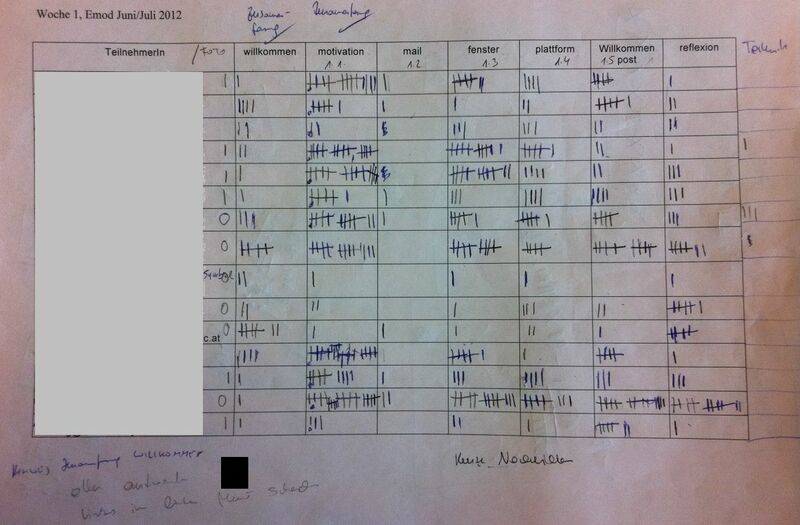 As I’m moderating online groups all the time I want to add one of my lists to check the activities of my participants. On the one hand it’s not a “real” learning artifact, but on the other hand it is – as I’m learning a lot moderating “my” virtual groups. 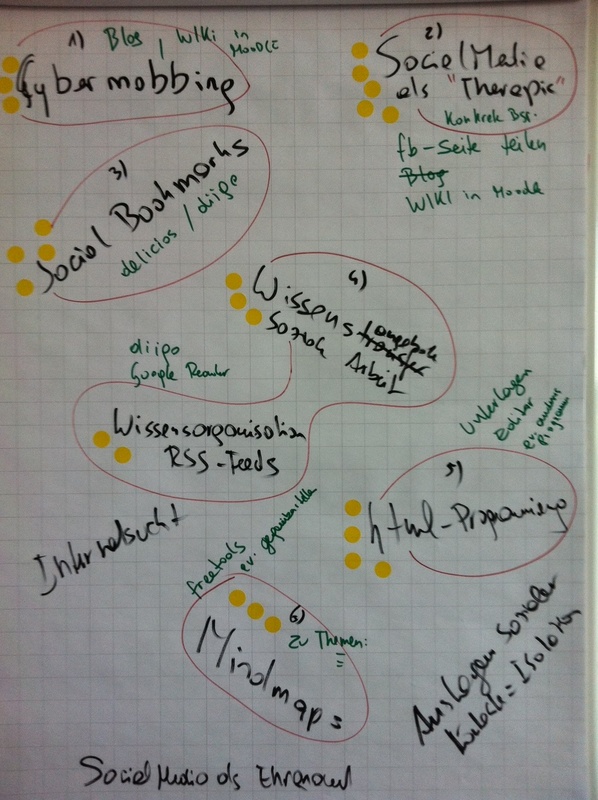 I’m head of a research group (very applied research) and we are working and learning together. Therefore my next learning artifact is a photo of one of our brainstorming sessions. Furthermore I attended the Change MOOC and was very fascinated of the MOOC cow. 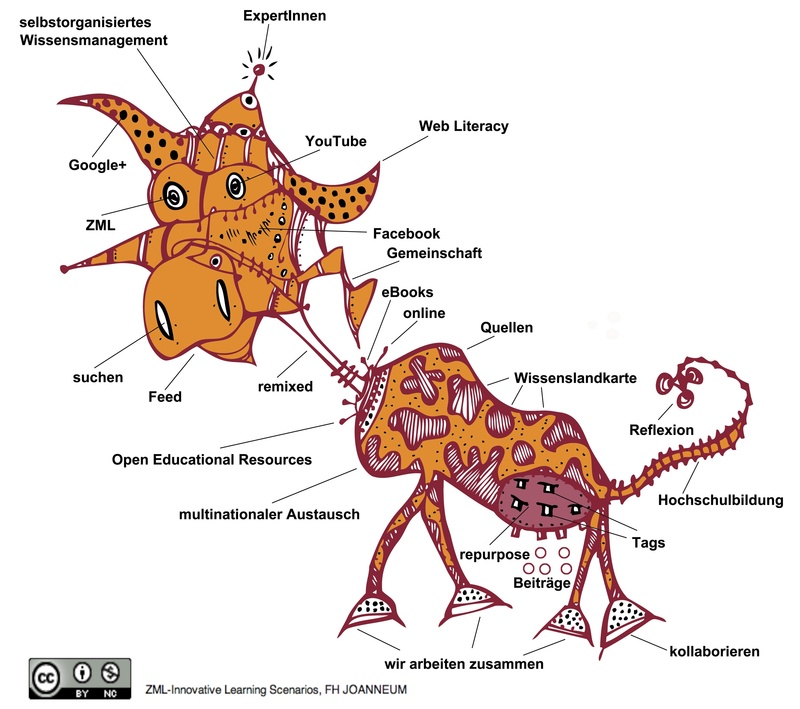 In my team we decided to develop the MOOC cow to “our” ZML cow, which was a very funny process. Now I’m satisfied that I have done my next steps in my preparation for the BEtreat and I look forward to enjoy the weekend.